This small 1200mm A frame climber features a net to both sides that presents a challenging up and over climbing experience. VAT and delivery will be calculated and added at the Checkout. These fun woodland print stools are a lovely addition to a classroom and are also ideal to use in a den or camp outside! Shower proof, wipe clean and stackable, these stools can enhance any lesson about nature and the environment. Includes a pack of two for small group work and are wipe clean and stackable. Pack of 4 also available, contact us for further information. Would you like to ask us a question about this product? Approximate size 1400mm x 850mm x 2000mm high. Our entire range of treated timber frame products use Postsavers, which helps to prolong the life of the timber post and protects it from rot and damage caused by grass cutting. 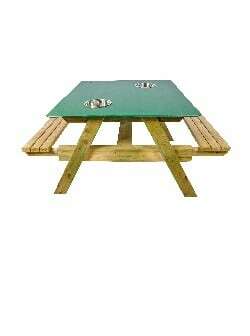 Bring creative play outdoors with this HDPE topped multi-activity table. Children can enjoy messy play outdoors on this easy clean surface. Table includes inset stainless steel bowls to hold creative play or sensory items. Seats are removable for wheelchair friendly access. 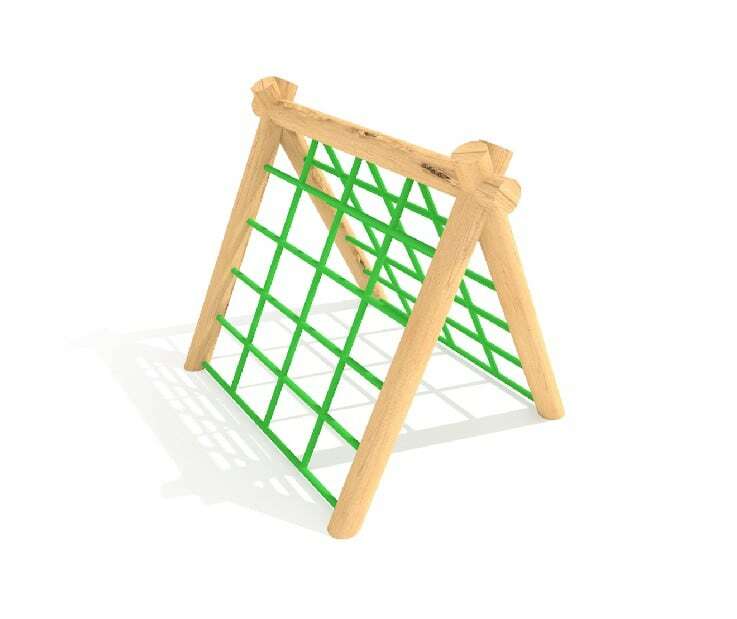 Would you like to ask us a question about this outdoor play product? WHAT DO OUR CUSTOMERS SAY ? Outdoor play is not just fun but an important part of children’s physical, social and cognitive development. Timotay has extensive experience in creating exciting outdoor environments where little ones can play and explore their physical abilities. Invite creatures into this Bug Hotel to explore and learn about nature and its wonderful creatures. Create opportunities to learn about and care for garden wildlife with this bug hotel. Teach children to respect and handle sensitive wildlife and observe nature within any setting. This product has been treated with postsavers to prolong the life of the timber and protect it from rot and damage caused by grass cutting. This item is available Free-Standing or for In-Ground Installation (simply self-assembly required) – please specify your preference at the checkout. In-the-ground installation: 900mm (L) x 150mm (D) x 1500 (H). Free-Standing: 900mm (L) x 500mm (D) x 900mm (H). Contents may vary from the image shown. Once upon a time' – create a fairytale setting with this beautiful story telling chair – We design and make all of our story telling chairs in our workshop so we can personalise them to suit your setting and even engrave them for you. 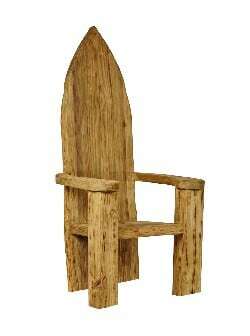 Please note that every chair is bespoke and made to order so may differ from the image shown.